Gone are perhaps the days when names of only US and Europe emerged prominently when it came to apparel exports! Many new destinations are coming up that could one day rival the potentials of the so-called traditional strongholds, and one such name to emerge very strongly is India. On the verge of retail boom – on the back of steady economic growth and increased consumer spending on clothes, which is expected to take the Indian fashion retail market from current US $ 46 billion to US $ 115 billion by 2026, growing at a promising CAGR of 9.7 per cent – Bangladesh is making steady inroads in India already. Bangladesh’s apparel exports to India have seen a sharp rise of 167 per cent in the first three months of fiscal 2018-19, and the growth is continuing still. Apparel Resources spoke to a host of garment manufacturers from Bangladesh to understand what they think about India as an export destination. 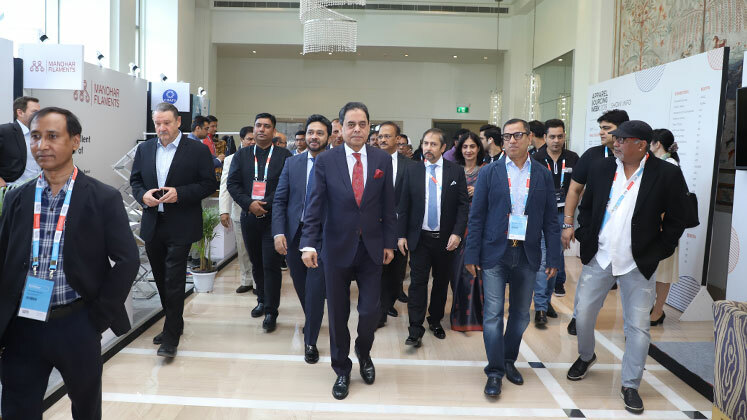 For Humayun Rashid, Managing Director, Energypac Fashions Limited, it’s perhaps time when India and Bangladesh should join hands to make it big in the global arena. “India has a very resourceful service industry, while the manufacturing segment, especially in apparel, is not as strong. I sincerely believe that the two countries should get into supply chain together in RMG; if we join hands we can actually beat China,” says an optimistic Rashid, who is joined by Enayetuddin Md. Kaiser Khan, MD, Sonia & Sweaters Limited in sharing his perspective on India. “Fashion in India is very near to the fashion one would find in the west, so we see a huge scope for our fashion knitwear in the Indian Market. While many may say that sweaters is not a ‘hot’ category for India, I am very excited to take my products there,” underlines Khan. For Sayed Tanvir, Director, Pacific Jeans, it is not only the business advantages that play in Bangladesh’s favour the close proximity between the two countries and cultural similarities are not to be overlooked either. “It’s not only the business practices which play to one’s advantage, sharing common boundaries makes client servicing an even easier proposition from Bangladesh’s standpoint. If any discussion is required it is so easy to fly over and sort it out directly. After all, most Bangladeshis are comfortable travelling to India on regular holidays and even shopping,” says Tanvir. Given the optimism of the entrepreneurs while also considering the sentiment of the Indian retailers vis-à-vis the existing market dynamics, it would not be surprising to see India emerge as the next US or EU for Bangladesh. “At present, the Indian retail landscape is very exciting. In the last couple of years, we in Reliance have opened around 510 stores across the country and by the end of the year we would have a total of 1,000 stores. We are witnessing exponential growth across formats. Now with markets opening up in Tier II and III cities, the growth is going to be even faster…,” maintained Mohit Batra, Country Head, Bangladesh Liaison Office, Reliance Trends, speaking earlier to Apparel Resources. So, if you are planning to embark on an export journey to India, this is possibly the right time to make your move.